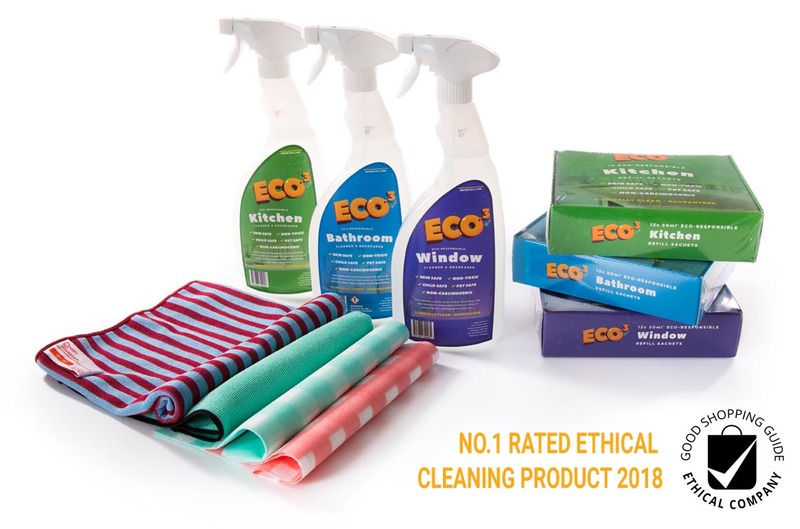 ECO.3 products are the top rated ethical cleaning products by The Good Shopping Guide Ethical Company Survey. This means that our products meet or exceed the world’s most stringent environmental standards. They contain no phosphates or formaldehyde and have rapid primary and ultimate biodegradability. 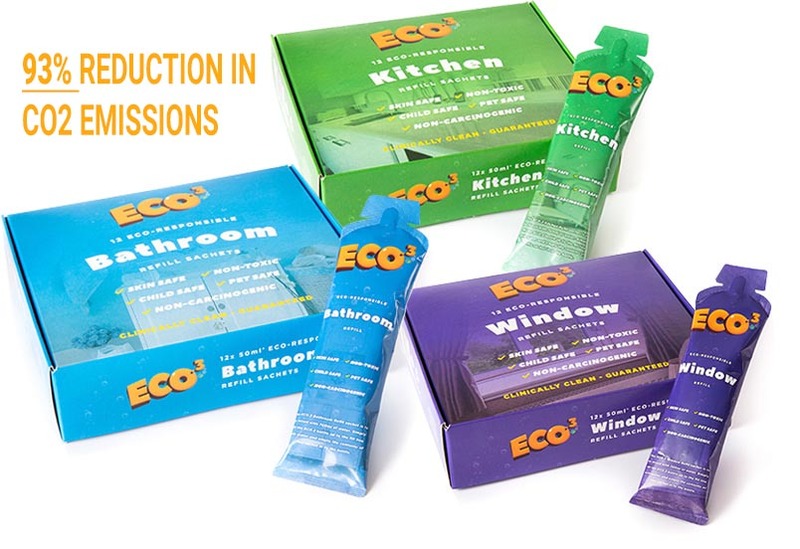 ECO.3 keep packaging waste to a minimum by producing highly concentrated products, refillable containers and recyclable sachet materials. 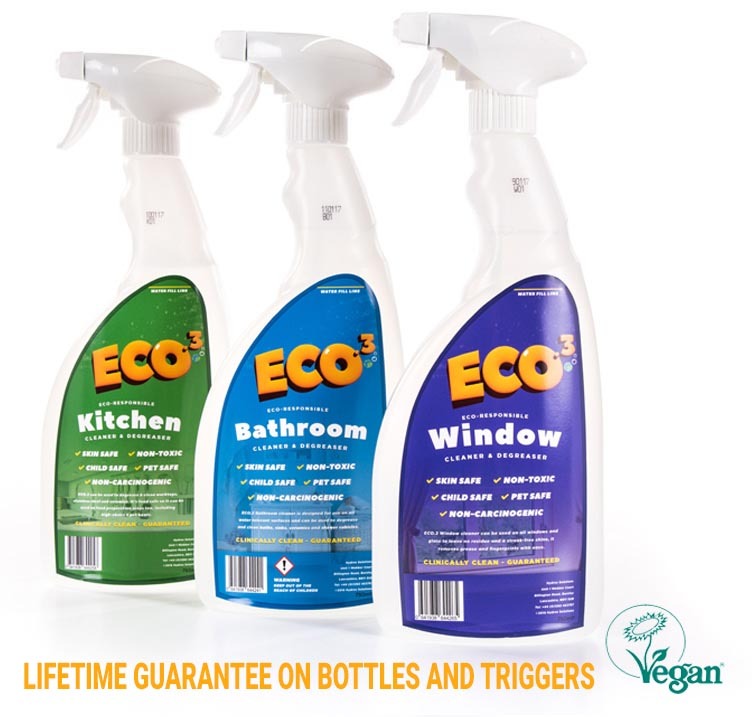 ECO.3 provide a lifetime guarantee on our bottles and trigger sprays. Throwing away plastics each time they are empty kills mammals, sea-life and micro-organisms that depend on clean and rubbish-free oceans for survival. It costs you more to purchase new plastics at the supermarket – so why not save money by re-using them? Instead of shipping a 750ml trigger spray which weighs 800g, we choose to ship a child-safe, recyclable sachet containing concentrate weighing just 60g. This reduces CO2 emissions by 93% by burning less fuel. Every time you visit the supermarket to buy a new trigger spray, just remember that this product has been shipped many times before and has produced CO2 emissions and then will be recycled or incinerated to produce even more CO2. 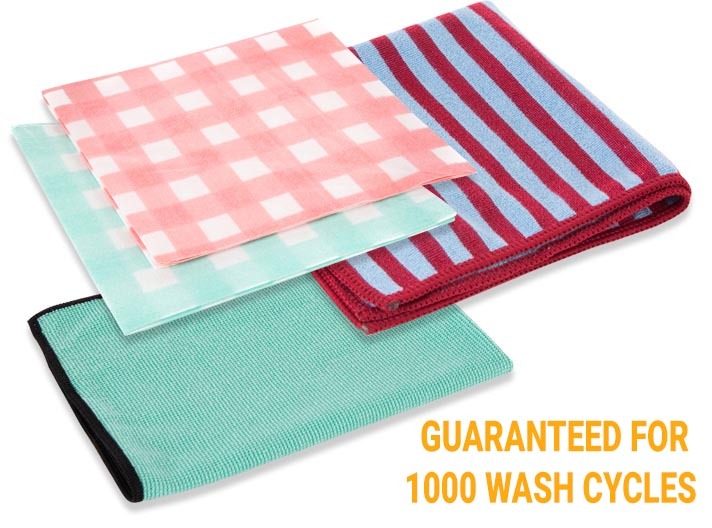 All our mops and cloths are guaranteed for 1000 wash cycles. Why purchase cheap stuff to throw away when you can use high performance cloths everyday for years that are designed to work with the ECO.3 products? ECO.3 advocate BOUY to help you save money and the environment. Order your ECO.3 non-toxic, eco-responsible, non-allergenic products online today. 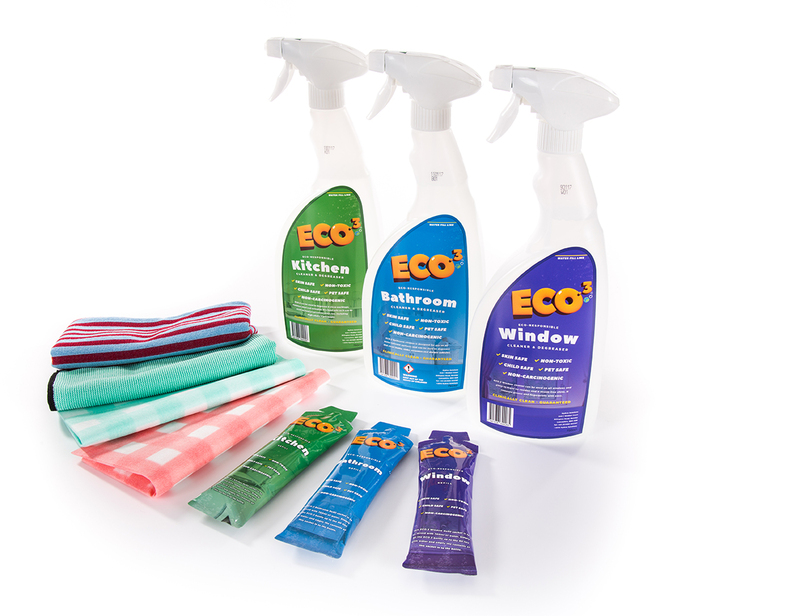 All ECO.3 products make a positive impact on our environment and wildlife. They do not include Animal derived ingredients nor are Animals used in the testing or development of these products. Our non-toxic cleaning products can be disposed of into a drain or septic tank as they are not harmful to human or animal life.